Well guys, today is a big day for me. 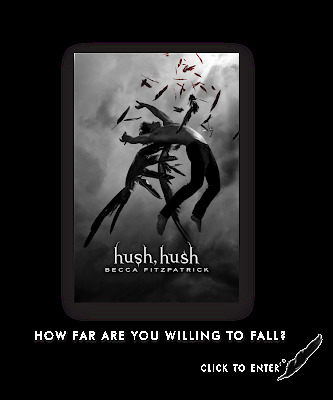 Today is the day I get to interview Becca Fitzpatrick, author of Hush, Hush, and I'm so very excited about it (which equates to: I'm a nervous wreck and I'm scurrying around like a crazy person trying to come up with a slue of witty yet insightful questions that I should have come up with two months ago when she agreed to the interview but didn't because I'm just a dork like that)! Phew. That was a mouthful. Now I must breathe in. And breathe out. Breathe in . And breathe out. Okay, I'm feeling better now. As you can tell, I'm in no shape to come up with an actual blog post today. So, I'll leave you with this. Oh Patch, you have no idea! Wish me luck guys. And, be on the look out for my interview with Becca Fitzpatrick. I promise it will be highly entertaining (or a complete snore (not because of Becca, of course. The snoring would be my fault), but that's doubtful because, hey, we're talking about PATCH here. And he's so dreamy)! Yay I am so super excited!!!! I can't wait to hear about it!! I'll be keeping a look out! How exciting! Don't be nervous, Becca is super sweet! Good luck, I'm sure you'll do great! GAH!! I love that you said to Patch, "Oh you have no idea." Have fun!! That is so exciting!! It's always great to read the insights of other writers, to learn about their own journey. You'll do great, enjoy! I have got to read this book!!!! Can't wait to see the interview!!! Looking forward to the interview! Good luck! I just started reading this and wow, Patch is a total bad boy... I LOVE it. Thanks everyone for the support! You all are the best!!! I'll be working on getting this posted probably during the first week in March. I'll let you know! You sound just like me. I leave everything to the last minute too! OH, I love Hush Hush! Please post that interview soon! If things take a turn for the worse...when all else fails...just remember this piece of advice from me...it's best to prune spring blooming shrubs after bloom. 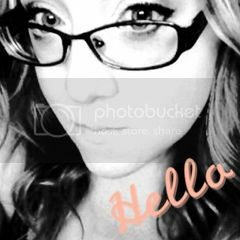 Melissa - LOL! I will post it soon and you will love it! Have a great interview! You're gonna rock it, girl! Can't wait to hear all about it. Squeeeeeee! Good luck with the interview! I'm sure it will be fabulous. Ah...Patch. I'm super excited for this interview! Really enjoyed HUSH. And I hear Becca is a doll. Congrats! Karen - She really is. I can't wait to post the interview! Ooh...I am looking forward to this! Hush, Hush is on my wishlist. I'm sure you did an amazing job. Way to go! Chasing the Moon - Hush, Hush is amazing. You must get a copy... soon. : ) And thanks! Random Rawr & Unique Font - I completely skipped over you guys... sorry. I promise you'll both love the interview. Becca is an awesome lady!